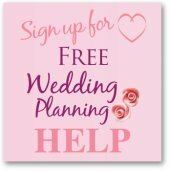 Planning A Small Cheap Wedding? Planning a small cheap wedding is fun as you will be lead by your own sense of style, it is a statement about you both that you don't feel you have to follow any wedding industry 'must haves' and boy are there lots of those! 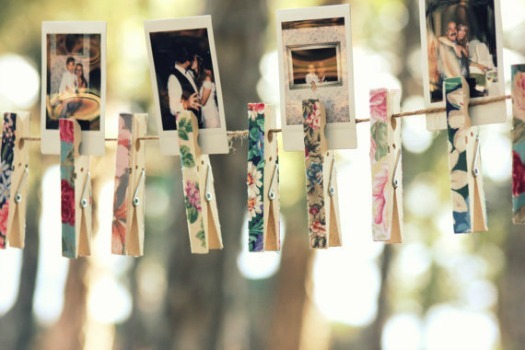 What Is Important To You For Your Wedding? Start by thinking about what is important to you both when planning a small cheap wedding; having all your family and friends around you, the location, the entertainment, the food or your dress. With the focus on what is important you will soon realize that anything else is not needed. It won't matter how many wedding magazines you will read that tell you all about the thousands of dollars you could spend on your dress, your invitations or your wedding favors, because your wedding is going to be stylish in your own way. If you had all the money in the world you would probably book the best wedding venue in your area and invite everybody you could. You would leave the venue to organize everything because they are the best. Instead, you will need to hunt around, visit every possible venue in your town, consider your own backyard or your local park. 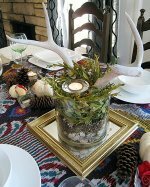 You may need to plan and decorate the venue yourself with your friends and family but every choice will be yours. 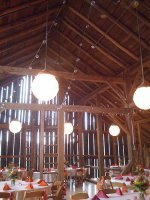 Keep your costs down further by holding your reception in the afternoon and you won't need to provide a big meal. Rather than buying the most expensive wedding dress, you will shop around, look in the sales, visit thrift stores and ask relatives if you could borrow their wedding dress. There is something about buying a cheaper dress that makes you feel more comfortable adding bits and altering it - you would never do this if your dress cost you thousands. Your dress will end up being more your own style and not looking like most other brides. Ask your friends and family if they would be able to help make items as their wedding gift to you. 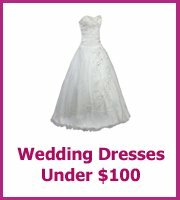 This not only means that your wedding will be very personal but it can also be so much cheaper. However, it is also worth remembering that DIY is not always the cheapest way. You will need to add in the costs of practices and maybe even a few mistakes. Don't just shop at wedding shops, a lot of the big stores are now very aware of the potential of the wedding market, you can get wedding cakes and even dresses from Walmart at a fraction of the cost of more traditional shops. If you are looking to break down your $2000 budget, start with your must have legal costs and officiant, then your wedding rings $200, then set $1000 aside for your reception as this is your biggest expense, this will leave you with a few hundred for your dress and invitations. You can see from this that the more help you can get from family and friends the easier your planning will be. A gift of all of your photographer will be worth so much more to you than a new toaster! When you are planning a small cheap wedding keep records of all of your spending to make sure you stick with your budget.